Here are a couple of little tips and tricks that I’ve picked up for use with RMarkdown html documents (including presentations and notebooks). This post is aimed at the R user who doesn’t know much, if anything, about html and css. Background images Sometimes it’s useful (or just nice) to have a background image of some sort in a presentation or notebook. This could be the logo of your university or company, for example. Write your thesis or paper in R Markdown! There are many reasons why you would want to use some variant of Markdown for writing, and indeed, posts are common on the net as to why you should.1 A simple summary of the reasons are that Markdown is: 1) easy; 2) easy; 3) yup, you guessed it – it’s easy. 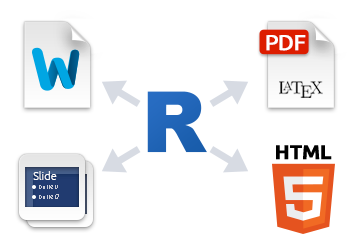 One variant of Markdown is R Markdown, developed by the RStudio team, and in particular the genius that is Yihui Xie, creator of the knitr R package.